Think of a developer trying to raise financing for a project, and you might conjure up an image of an army of debt brokers pounding the phones, going through their extensive books of lenders to find the one with the lowest rate, and taking the deal back to the developer in exchange for a fat commission. For now, the marketplace, dubbed Remissary, is a hybrid between an online marketplace and a traditional brokerage: borrowers and lenders can put in the parameters of what they’re looking for into the online platform, which then matches them through an algorithm. But borrowers also get a Remissary broker to help them through the process and pay a fee if a deal closes (Chugh says it will be less than what a traditional brokerage charges). Non-Remissary agents can list their deals on the platform, but will have to agree to co-broker them. Eventually, Chugh wants to take the agent out of the equation entirely. For now, however, borrowers still want a human touch, he said. Chugh began working on the idea for Remissary 18 months ago, and has yet to close a deal through the platform. But he claims he has already sourced close to $700 million worth of potential transactions. Aside from senior loans, the platform will match borrowers and lenders on mezzanine and preferred-equity deals. Chugh said he will continue to run Maverick on the side, but expects the brokerage to fully phase over into Remissary within the next few years. 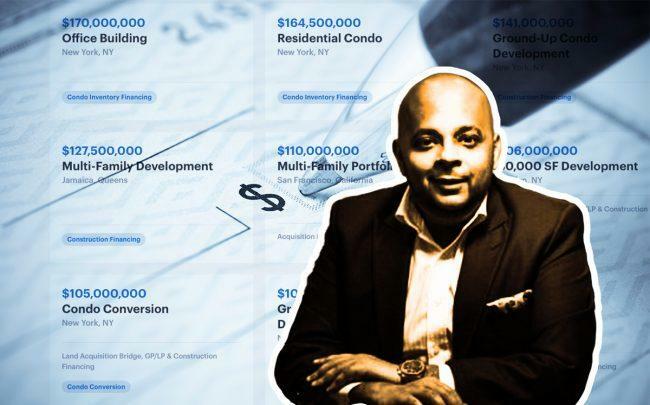 He launched Maverick seven years ago, and the six-agent shop has raised money for the likes of the Naftali Group, the Chetrit Group, Adam America Real Estate and Slate Property Group. Remissary joins the ranks of other online platforms that provide access to debt, such as RealtyMogul, Sharestates and RealAtom. As the capital stack gets more intricate and banks sometimes shy away from providing debt with high loan-to-value ratios, developers and real estate investors have become more open to alternative methods of finding financing.